In the early 1900s, people flocked to Lithia Springs in Georgia, a hot spring known for its lithium-enriched water. Hailed for its therapeutic properties as a mood booster, stress reliever, and aphrodisiac, the lithiated water was even bottled and sold. Today, as the spring is seeing a rebirth, so is the mineral seeing a rise in popularity as a nutritional supplement. Lithium is a naturally occurring mineral found in rocks all over the Earth. It was one of the first elements present when the universe formed billions of years ago. Like two other alkali metals, sodium and potassium, lithium is a mineral electrolyte that every human body requires. 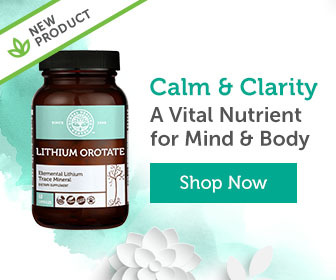 Today, people get trace amounts of lithium from food and water, but some people like to take nutritional supplements like lithium orotate to promote daily calm and clarity. A “salt” of the mineral lithium and orotic acid, lithium orotate is often sold as an over-the-counter nutritional supplement. For the body to use lithium, a transporter molecule must carry it. In lithium orotate, the transporter is orotic acid (sometimes called vitamin B-13), a substance that the body also produces naturally. Lithium orotate offers superior bio-utilization, allowing the mineral to penetrate the intracellular structures of cells, including the mitochondria, glia, and lysosomes. Lithium orotate is different because it is effective at boosting brain health in extremely small amounts. [1, 2]Connected to the small orotic acid molecule, lithium orotate can penetrate cell walls easily, making it highly bioavailable. Lithium orotate is non-toxic and low levels could be effective for 70 to 80 percent of people who try it. Lithium orotate offers benefits for both mind and body. Here are the top ways it can benefit your health. Stress is part of modern life and can even be beneficial in motivating you to achieve your goals. But when it persists or becomes overwhelming, stress can negatively impact your body and mind. Stress can become overwhelming, and research has found that lithium could improve your happiness. Many people take a lithium orotate supplement to help them manage stress and daily tension. Studies have found that lithium may improve people’s happiness, friendliness, and energy. Lithium orotate is a natural way to bring calmness and clarity to your mind. Having a strong immune system protects your body from outside attacks from harmful organisms and helps to keep you healthy. Lithium orotate stimulates the immune system and offers defense against some types of harmful organisms. Lithium’s immune-boosting properties may result from the fact that it reduces the body’s production of prostaglandins — compounds that cause systemic redness and swelling in the body. As we age, we all experience some “cognitive impairment.” In other words, your memory may get worse, or you may experience temporary feelings of confusion. Although normal and common, you can take steps to try and keep your brain healthy as you age. Because lithium is also an antioxidant, which means it helps counteract the effects of free radicals in the body and brain, lithium orotate may promote longevity. Studies have shown that lithium supplementation preserves and enhances bone mass, and further, that lithium decreases the risk of bone fractures. Lithium also appears to help bone and cartilage heal. Lithium stimulates new stem cells to grow, which boosts gray and white matter in your brain! Numerous studies have also found that this mineral appears to boost the amount of gray and white matter in the brain. Lithium may boost gray matter by stimulating new stem cells to grow, which then differentiate into neurons. Those who drink more alcohol than they want know that it can affect every aspect of mental and physical health, as well as relationships. The good news? One study found that when patients who craved alcohol were given lithium orotate, they were able to maintain their sobriety longer — with minimal side effects. Scientists have replicated these findings in other studies, as well. When taken in low amounts as a supplement or consumed through food and water, there are almost no side effects from lithium orotate. The mechanism of action for lithium orotate in small servings is quite different from that when someone takes it in higher amounts, according to a comprehensive review by Dr. Timothy Marshall. The safety of low amounts of lithium orotate is comparable to low amounts of zinc and other vital minerals the body needs, says Marshall. Possible side effects from higher amounts could include dizziness, muscle weakness, or fatigue. Pregnant and nursing women should consult their doctor before taking lithium orotate. Also, avoid lithium orotate if you have renal or cardiovascular diseases, severe dehydration, sodium depletion, or if you are using a diuretic or ACE inhibitor. If you take multiple orotate supplements — such as magnesium orotate, calcium orotate, or zinc orotate, as well as lithium orotate — you could end up with too much orotic acid at once. Animal safety studies suggest between 50 to 100 mg/kg (milligrams per kilogram) body weight are safe, which is equivalent to 2,250 to 4,500 mg orotic acid per 100 pounds of body weight. It is important not to self-medicate any serious mental illness with lithium orotate. You should consult a healthcare practitioner to avoid any adverse effects if you have been diagnosed with any medical condition, or are taking prescription medications. However, since most foods contain small amounts of lithium, consider taking a supplement to ensure consistent servings of lithium orotate in your diet. Should I Take Lithium Orotate? The Institute of Medicine’s Food and Nutrition Board has not established a recommended daily allowance (RDA) for lithium. However, many experts consider lithium an essential nutrient and a provisional RDA of 1 mg (milligram) daily for an adult weighing 70 kg (154 pounds) is established. Taking slightly more can help you better manage your stress, have a calmer mood, and boost your brain health. In 1996, the World Health Organization (WHO) added lithium to its list of nutritionally essential trace elements, along with iodine, zinc, and others. If you want to take lithium, micro-serving amounts allow you to experience the benefits without the side effects that can come from taking more. Lithium orotate is an over-the-counter nutritional supplement that offers many benefits for mind and body. Bound to a tiny orotic acid carrier molecule, lithium orotate can penetrate cell walls easily; once inside the cell, lithium ions disassociate from orotic acid, freeing the mineral to work effectively, quickly, and in low amounts that have no known side effects. This powerhouse nutrient offers many benefits for both mind and body, including the potential to support mental health, strengthen bone health, and even counter normal age-related decline. Lithium orotate may help with aging, stress, mood, and more, bringing calm and clarity to your days. Do you have any experiences with lithium orotate? Share your thoughts in the comments! Marshall TM. Lithium as a nutrient. J Am Physicians Surgeons. 2015; 20(4):104–109. Jope RS, Nemeroff CB. Lithium to the rescue. Cerebrum. 2016;Jan-Feb:cer-02–16. Alevizos B, et al. Low dosage lithium augmentation in venlafaxine resistant depression: an open-label study. Psychiatriki. 2012;23(2):143–148. Abdel-Maksoud MB, et al. Lithium treatment in cluster headache: review of literature. Eur. J. Psychiat. 2009;27(6). Nieper H. The clinical applications of lithium orotate. A two years study. Agressologie. 1973;14(6):407–11. Chi-Tso C, Chuang D-M. Neuroprotective action of lithium in disorders of the central nervous system. Zhong Nan Da Xue Xue Bao Yi Xue Ban. 2011 Jun;36(6):461–476. Lakhan SE, Vieira KF. Nutritional therapies for mental disorders. Nutr J. 7. 2008; Jan 21;7:2. Zarse K, et al. Low-dose lithium uptake promotes longevity in humans and metazoans. Eur J Nutr. 2011;50(5):387–389. Lieb J. The immunostimulating and antimicrobial properties of lithium and antidepressants. J Infect. 2004;49(2):88–93. Coutts F, et al. The polygenic nature of telomere length and the anti-ageing properties of lithium.Neuropsychopharmacology. 2018;0:1–9. Vestergaard P. Skeletal effects of central nervous system active drugs: anxiolytics, sedatives, antidepressants, lithium and neuroleptics. Curr Drug Saf. 2008 Sep;3(3):185-189. Sartori HE. Lithium orotate in the treatment of alcoholism and related conditions. Alcohol.1986;3(2):97–100. Aguilar F, et al. Orotic acid salts as sources of orotic acid and various minerals added for nutritional purposes to food supplements. Scientific Opinion of the Panel on Food Additives and Nutrient Sources added to Food (ANS). European Food Safety Authority. 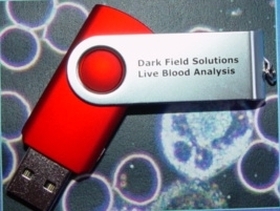 The EFSA Journal. (2009):1187;1-25.